Looking for local painters and/or decorators in Manchester or Greater Manchester? Need a reliable and professional decorating service that is affordable? Require interior and/or exterior decorating services? Well look no further than Countrywide Decorating services. As the name (Countrywide Decorating) suggests, we know a thing or two when it comes to providing first class decorating services to both residents (domestic services) and businesses (commercial services) in Manchester and Greater Manchester. 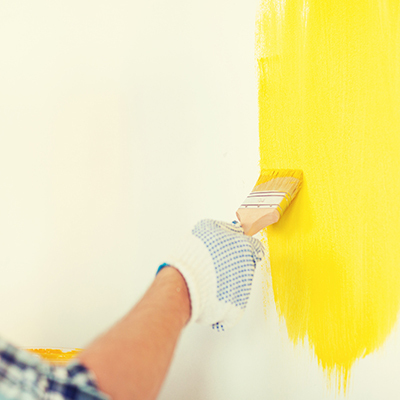 For us no decorating and/or painting job is too big or too small, so whether you require a small feature wall painting, multiple rooms decorating in an commercial building or both interior and exterior of an industrial building painting, we can supply. We have a team of local painters and decorators in Manchester and the surrounding areas such as Salford, Trafford, Sale, Oldham, Rochdale, Bury and more. Every decorating job we take on is treated with equal priority, finished to very high standards and completed on time. We have given more than ten years of outstanding decorating services in Manchester, working with home owners, first time buyers, landlords, property management companies and other local businesses. At Countrywide Decorating we provide professionalism, efficiency, reliability and great value for money. High quality and professional painting and decorating is certaintly not just a case of splashing some paint onto a wall. We ensure all of rooms and/or outdoor facias decorated by us look great and timeless. Over time many surfaces become weathered, damaged or uneven. If the fresh paint is to look its best and to survive the course these surfaces need to be treated and restored to a good standards. Our team of skilled decorators in Manchester and Greater Manchester have the know-how experience to deal with any cracks and holes in a wall and/or ceiling. When it comes to commercial, industrial and domestic painting and decorating services in Manchester and Greater Manchester, we are second to none. Our team of qualified and experienced decorators and painters are based across the North West and have years of experience in both commercial and domestic decorating services. Whether you require your home interior wallpapering and your home exterior painting or you require a full commercial building exterior restoration, we can help. Our professional decorating services are reliable and most importantly affordable. For more information simply fill in our contact form or give us a quick phone call. We provide both domestic and commercial wallpaper hanging services to residents and local businesses in Manchester. Over the years we have provided quality and affordable wallpapering services to numerous homes, retail outlets, restaurants, hotels, council buildings, hospitals, schools and more. We can not only provide wallpaper fitting services, but we also provide interior design services and/or supply the wallpaper. Our Interior and Exterior Decorating services can include wallpapering, painting, varnishing, spay painting, refurbishment and more. Our painters and decorators are fully qualified and have years of painting and decorating know how, to ensure they provide the highest quality interior and exterior decorating services in Manchester. We provide commercial and industrial floor painting and floor resin services to various businesses in Manchester and Greater Manchester. Whether you require industrial resin floor services or commercial outlet floor painting, we can provide. We have a team of specialist commercial and industrial floor painters in Manchester, who are the ‘Go To’ people when it comes to specialist floor painting. If you would like more information about us, more information about our decorating services and/or painting in Manchester or for a quote, simply give us a quick phone call or fill in our contact form.